What the hell is MLB doing? I was taken aback this week when I attempted to watch highlights on MLB.com. For some reason, they got rid of the damn search bar. It’s absurd. Previously, if you clicked on the videos tab, you would see a page of the most popular recent videos, with an easy to use search bar at the top of the screen. Now, clicking on the videos tab simply brings you to the most popular recent videos, with no search bar. With all due respect to Bryce Harper and his mammoth home run on Tuesday night, that’s not what I’m looking for. 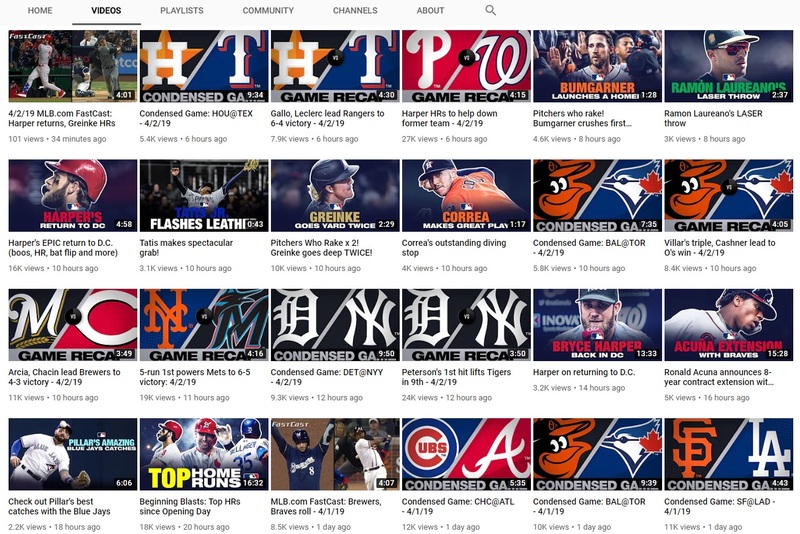 Furthermore, if you click on “most popular” to see other categories of videos, all you get are options like “spring training,” “free agent and trade talk,” and “must C,” instead of anything actually useful. Hovering over the videos tab on the main page gives you more options, including the seemingly useful “shareable videos/GIFs” option…which is not actually useful. A simple search on this page (for example, “Harper”) gives you a bunch of gifs, all of which are celebration-based, and videos from…Spring Training. Just for the hell of it, if you search for “Laureano,” looking for highlight videos from Oakland’s laser-armed outfielder, you’ll come across zero gifs and a bunch of videos from Spring Training and last season (and not his incredible throw from Tuesday night). YouTube isn’t much better. Each day’s fresh content consists of….game recap videos, condensed games, and a handful of highlight videos uploaded in the middle of the night. Weirdly, at 9:30 AM Pacific, half of the games from Tuesday night didn’t get either the condensed game or game recap treatment on Youtube. A video of that Laureano throw, for example, was posted at roughly 1 AM Pacific, roughly four hours after the damn throw occurred in real-time. The other highlights uploaded, on a schedule that included 12 games, were a pair of pitcher home run videos, a compilation of Harper highlights, and a pair of great plays from shortstops. That’s it. That’s the list. You mean to tell me that nothing else happened in the other games? MLB apparently doesn’t want fans to actually share video of interesting plays, either. If you click the videos tab on the scores page, you’re redirected to the cache of highlights you’re used to seeing from games…only they don’t play if you have an ad blocker enabled. If you do disable your ad blocker, each video has a 15 second pre-roll ad. And if you want to watch multiple videos, you have to sit through an ad each damn time, no matter how long the highlight. A 15 second ad in front of a 30 second video is absurd. There are also no share buttons (Twitter, Facebook, direct link, embeddable link, etc) on any of these videos, and the page URL doesn’t change for each videos, meaning that sharing them is incredibly difficult. The easiest way to watch and share videos? 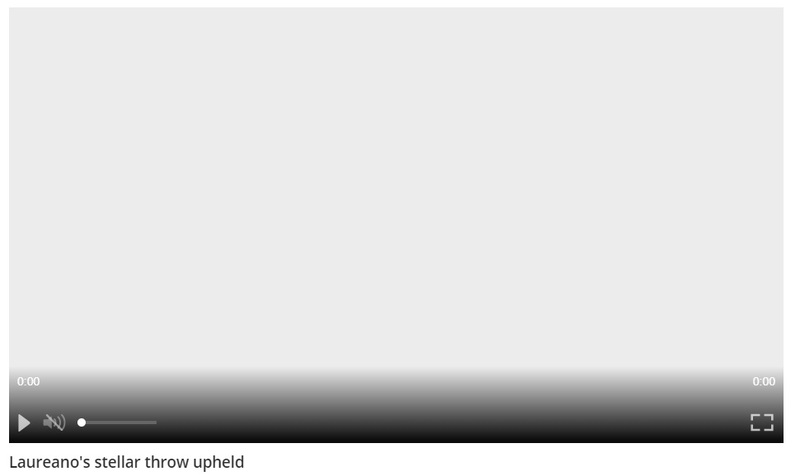 Go to a specific’s team page, click videos, and….hope the video you’re looking for happened in the last day or two. God help you if you want to find something that happened sometime last season. This is another example of MLB cutting off its nose to spite its face. And I’m not the only one to notice here – plenty of prominent online writers have noticed, and aren’t happy. I saw people grumbling about this, but I assumed it was something different, and I guess this is the first time I've tried. What an absolute debacle. I emailed customerservice@website.mlb.com nearly a month ago and all they said was "This is currently unavailable due to recent updates but should return in the near future." I emailed them again this morning, no response so far. It annoys me to no end, it's so frustrating. This also could be somewhat related to this Deadspin piece about MLB Advanced Media laying off employees. Another Twitter user noticed clips that seemed to be clipped and described by machine learning. 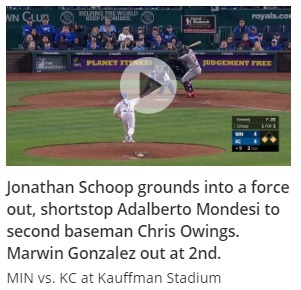 You can see this, for example, in the titles of these two routine, insignificant plays uploaded from the Twins-Royals game on Tuesday night. 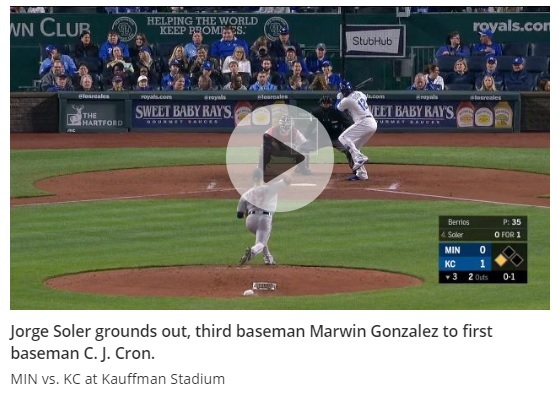 Something weird is afoot here, and if MLB was really keen on “updating” their highlights interface for the better, maybe they should have worked those kinks out in the months before Spring Training when nothing was happening during the offseason. But right now, it’s a major step backwards, and drags up the “MLB has no idea what the hell they’re doing with digital content” narrative that seemed to be quieted in recent years.